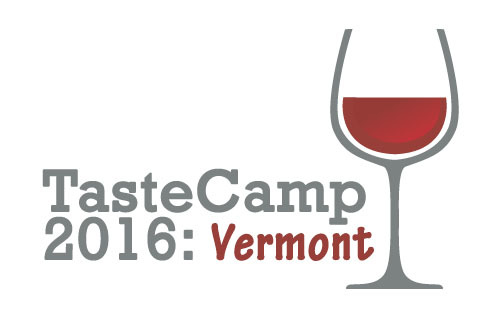 TasteCamp 2016, presented by the New York Cork Report , is scheduled for June 3-5, 2016 in beautiful Vermont. We are working with our various partners and hosts to work out all of the details and wines, beers, ciders and spirits that will be poured, but rest assured that we’re going to visit and taste with Vermont luminaries like la garagista farm + winery, Lincoln Peak Vineyard, Shelburne Vineyard, Fable Farm Cider, SILO Distillery, Vermont Spirits Distilling Co., Stonecutter Spirits, Shacksbury Cider, Putney Mountain Winery, Huntington River Vineyard, Prohibition Pig and Hill Farmstead Brewing. — as well as many of the top cider makers, distillers, brewers and creameries in the state. We have limited space for this year’s event, so make sure that you register today to reserve your spot. Once you register, we will send you the hotel information to book your room. If you have any questions, please contact Lenn Thompson. **Note: To attend TasteCamp, you must be a writer or other wine trade professional.